If you're like me, taking your vitamins in the morning is essential to getting your day off on the right foot. That plus the 2 cups of coffee with cream and sugar is maybe not the healthiest option, but helps get me through the day. When I was contacted to take the AeroLife Newtrition Challenge, I was intrigued with the idea that I could have access to the supplements and energy I'm used to without taking having to swallow multiple pills, or multiple cups of coffee, with an air-based nutrition option that provides instant results. Welcome the energy of the future. Welcome AeroLife. The first few days I tried AeroLife, I was amazed at the results. The AeroLife smart nutrition system provided an extra boost of energy within minutes. Now I was not only getting the supplements I needed, but cutting out unhealthy calories. Talk about an ingenious idea! My favorite energy flavor is the watermelon. A must try. So you're probably asking yourself,"How does all this work?" AeroLife is an air-based smart nutrition system that delivers powdered blends of vitamins, supplements and flavors. By simply drawing air through the lips, AeroLife supplements deliver tiny quantities of food and nutrients through the air to your mouth, just as simple as drinking from a straw, but easier. 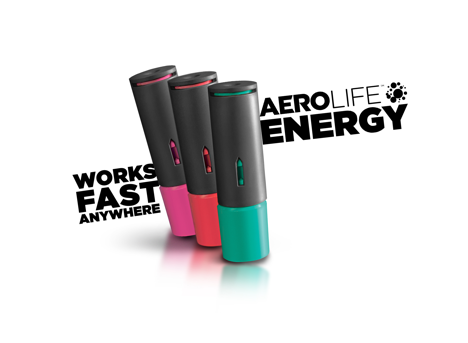 So, what products does AeroLife have to offer? 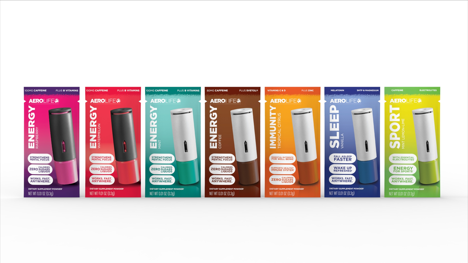 Whether it's extra energy you're seeking, an immunity boost, or a little help getting to sleep at night, you can choose the AeroLife product that's right for you. So, what are you waiting for? I took the AeroLife Newtrition Challenge, now it's your turn. If you like what you see and want to give it a try, you can Start your free trial now. Visit aerolife.com and take the AeroLife Newtrition Challenge yourself. Rest assured, you won't be disappointed! Save Money Now at BuyCostumes.com!